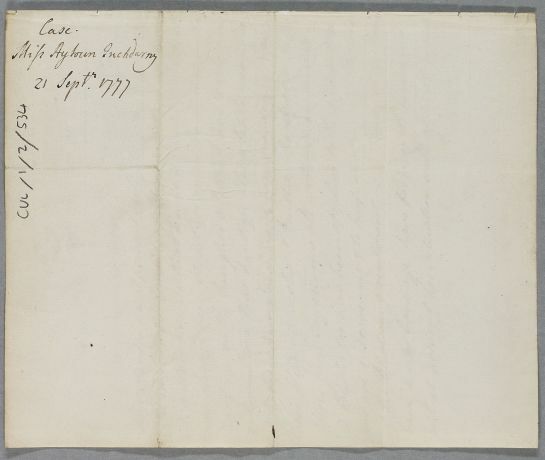 Letter from Archibald Murray, regarding the case of Miss Aytoun of Inchdarny. 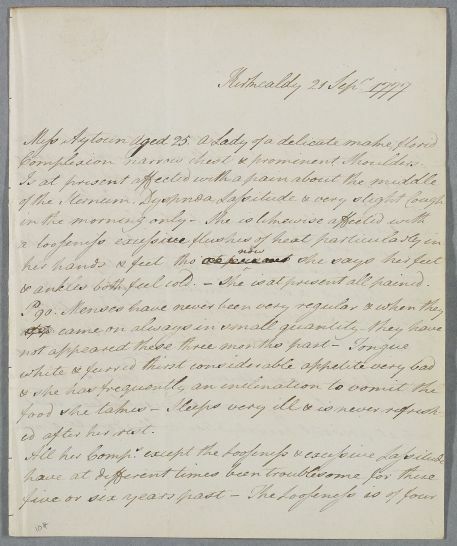 Summary Letter from Archibald Murray, regarding the case of Miss Aytoun of Inchdarny. 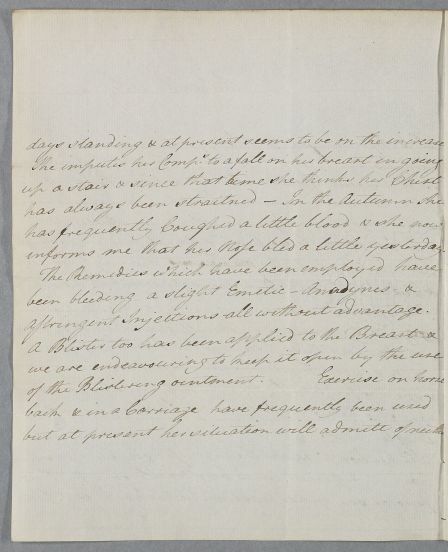 Case of Miss Aytoun who suffers varied symptoms including abdominal pains, feverishness, looseness and vomiting. Complexion narrow chest & prominent Shoulders. & ankles both feel cold. - She is at present all pained. informs me that her Nose bled a little yesterday. Astringent Injections all without advantage.